This singing time idea was inspired by a singing time idea I saw on Sugardoodle.net by Debbie Huber. 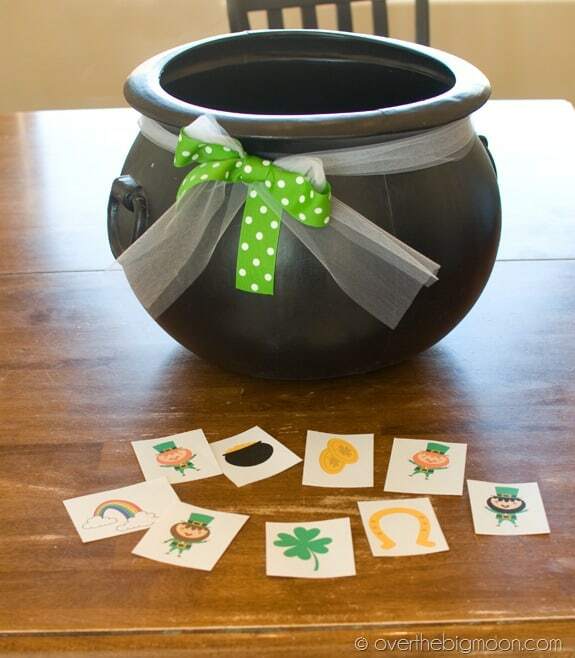 First I created a sheet with things that were lucky and also leprechauns and cut them into individual pieces. 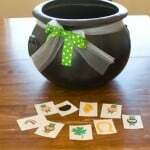 I added ribbon to my Halloween cauldron to make it look more like a pot of gold. Then I folded and added the papers to the cauldron. During Singing time I had a child come up and draw a paper from the cauldron. If they picked something lucky then they got to sing their favorite primary song. If they picked a tricky leprechaun then their teacher got to pick their favorite primary song. The kids had fun and I think the teachers enjoyed it too. It was good for the kids to hear some songs that we normally don’t sing also. For nursery singing time I printed a second sheet of the pictures and wrote names of songs on the back. I put the papers in a green bag and allowed the kids to draw one out and we sang the song. It was easy and fun!